JEFF TANG has more than 20 years of working experience in consultancy, auditing, management as well as adult training both locally and overseas. He has diverse experience in a wide range of industries. He had taught at institutes of higher learning such as NUS and SIM. 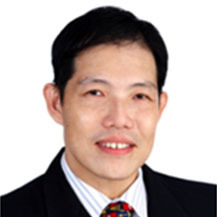 He is currently appointed as auditor/tutor for SP Consulting in PECB accredited OHSAS 18001, ISO27001 & ISO22301 schemes. He had been a course director and tutor for other ISO courses while working with TUV-SUD as well as being as trainer/practitioner in Human Factors, Oil Spill Response, etc. Besides technical training, he is also conversant with soft skill training covering subjects such as innovation management, design thinking, management principles, coaching and mentoring, for organisations that include the Army, Navy and Air Force. Jeff’s approach to training and facilitation is interactive and practical, that involves a variety of activities and key take-aways to engage and enable participants, so as to translate learning into practical application. Jeff is a Chartered Biologist, awarded by the Society of Biology (UK). ISO 22301 with PECB and ICOR. Asset Management (ISO 55001) with IAM. He is a Zambian born and based certified trainer with Professional Evaluation and Certification Board, Canada delivering Foundation, Lead Auditor and Lead Implementer courses in ISO 9001, ISO 22000, ISO 14001, OHSAS 18001, ISO/IEC 17025 and ISO 21500. He received hisBSc from the University of Zambia and hisPostgraduate Diploma from Heriot-Watt University, Edinburgh, Scotland. For more than 30 years in industry and in various organizations, hehas embraced a career revolving around Quality Assurance,ProcessManagement and operational activities, Management System Standards documentation, Implementation and maintenance. He has held several managerial positions, including as SHEQ/Technical Manager at Invesco Ltd., a beverage producing organization. He is professional management consultant and trainer in field of Organizational Development with more than 20 years of experience in filed of establishing, implementing, enhancing scater corporate systems in domain of Asset Management, Facilities Management, Enterprises Risk Management, Information Security Management System, Legal Digital Forensics Examination, and Anti-Bribery Management Systems according to the international standards. In entire career of El-Ghobbas, many sucessful projects had been delivered with high efficient perfomance are still working. The most recent and noticable of these projects is Disaster Recovery Plan – Tier III for Etisalat Data center beside other projects cosnidered to be a unique and icon of dubai goverment such like PAS 55 implememtion throughout Dubai Goverment infrstructure. In addition to that El-Ghobbas is consultant for well known advocates in UAE to assist them in resolve the mistry sides of cybercrime cases that considered unusual for court due to abscence of procedural legislation suite cyber crime. Ahmed M. Ahmed Hammad Personal Profile Ahmed has over 23 years’ experience in the field of food packaging, safety and hygiene, Quality energy consumption and others system in the commercial environment and is currently General manager of ISO Quality Academy Register. In addition to having expert knowledge of the certification process according to ISO 9000, ISO 14000, ISO 22000, OHSAS 18001 etc., he is certified Lead auditor for ISO 17021, ISO 9001, ISO 14001, ISO 22001, BRC & BRC Food , BRC - packaging and HACCP etc . Ahmed is approved to deliver a number of specialized courses in Food safety and he acts as course designer for Quality/Environmental & Occupational Health and Safety by IRCA. In addition to series of PECB courses Ahmed currently conducts numerous audits for different management system and has conducted about 1000 audits in different countries such as Egypt, Saudi Arabia, Kuwait, Sudan, UK, Italy, Ethiopia, & Libya. Ahmed is approved as Lead auditor for ISO 9001, ISO 14001, OHSAS 18001, ISO 22000, HACCP, ISO 27001 and has delivered training courses for more than 2000 delegates. David is the Managing Director of Smart ISO Systems & Smart Mentoring and is responsible for the Consultancy Practice’s trading ethics, survival and growth. David’s personal experience spans more than 35 years as a Manager, Auditor and Consultant, specializing in Security, Quality, Health & Safety and Environmental systems; senior management consulting; and optimization of Client resources. In the mid-90’s, he launched his own Consulting company - Smart Consultancy Services, later becoming Smart ISO Systems/Smart Mentoring, providing development, support, training, and consulting services to a number of companies around the world. David is also a Lead Assessor for ISO 27001, ISO13485, ISO 9001, ISO29000, ISO17025, ISO14001 and OSHAS18001. His professional qualifications are; membership of the Chartered Institute Management (CIM), Chartered Quality Institute (CQI), the Institute of Leadership & Management (ILM) and the Association of Productivity Specialists. Having traded in North America for around ten years David has gained a vast experience in dealing with the growth & survival issues experienced by Small to Medium sized enterprises (SME’s). He now employs these experiences back here in the UK to assist SME’s to overcome their skill shortfalls, by conducting business coaching, mentoring and training seminars to take them to the next level of their development. the development of relational databases to speed up transactions and give a higher degree of control over their processes. Occupational History: Master of Business Administration, Advanced SA8000 Auditor, Master of Education in Distance and Non Formal Education, Lead Auditor for ISO 9000, ISO 14000, ISO 22000, ISO 13485, OHSAS 18000 and ISO 26000. SA 8000 Advance Auditor, MS in Project Management Research Work completed PECB Approved trainer for Lead Auditor and Lead implementer courses Academic Lecturer and Chief Editor of a Monthly Magazine “Bitehqeeq” Freelance Senior Consultant, Trainer and Coach Senior Consultant, Auditor - Sumations GmbH Long lasting Experience in Consultancy, Training or Audits in Pakistan , Tanzania and France. He is a Ghanaian national and currently resident in Ghana. He holds Bsc (Hons) Chemistry degree from KNUST in Ghana. Pursued various post graduate certificate courses including HSE Management, Maintenance management, Strategic management in Ghana and overseas courses in Health and Safety, Quality and Productivity in Australia, USA and Sweden. Stephen holds following certifications: ASQ Certified Quality Auditor. Exemplar Global Certified: Environmental Lead Auditor OHS Lead Auditor. PECB Certified: Trainer (ISO 9001, ISO14001 and OHSAS 18001) Lead Auditor (ISO 9001, ISO14001 and OHSAS 18001) Lead Implementer (ISO 9001:2015, ISO 14001:2015) Implementer (ISO 50001). Chemical Engineer and HSE Manager at Ghacem Ltd Ghana HSE Project Manager based at Heidelbergcement Africa Head office in Belgium. As a HSE Project Manager, was responsible for HSE in 8 African countries; Ghana, Togo, Benin, Sierra Leone, Liberia, Gabon, Democratic Republic of Congo and Tanzania. Stephen has consultancy work practice at Nissi Yahweh Enterprises Ltd. and MacBens Multi-Resources Ltd. Ghana. As consultant, was a National Quality Management System expert in Ghana for United Nations Industrial Development Organization project assisting QMS implementation in Ghana. Stephen has provided training and auditing for companies including; Total Ghana, Ghacem Ltd Ghana, Ghana National Gas Company, Scantogo Mines in Togo and Leocem in Sierra Leone; and on behalf of Resources Inspections Canada Incorporated was a Lead Tutor for ISO Audit training in Ghana. Stephen is a member of American Society for Quality. Ronnie Abina Mapanoo, MPA, PMM , QMM , RSMA , MIIRSM , RSP. OBJECTIVE: To enhance organizational competency by ensuring efficient management systems are in place and employees are equipped to carry-on their designated task safely. SKILL: Training, course development, auditing, workplace assessment, risk management, organizational development & management system administration. EXPERIENCE: Business Development Manager | Tamkene Saudi Training Center, Saudi Arabia | 01 June 2012 - Present Responsible in program and business development for various multi-national companies. International Student Affairs Manager Fajar International College, Malaysia |13 December 2007 to 1st February 2012 In-charge in coordinating HSE international programs & international students’ academic activities. EDUCATION: Master in Public Administration | April 2007 | Ramon Magsaysay Technological University, Philippines With GPA of 1.25 and benemeritus in dissertation thesis AB Sociology | April 2001 | CAP College, Philippines Diploma in Health, Safety & Environment | International Institute of Risk & Safety Management, United Kingdom December 2014 International General Certificate in Occupational Safety & Health | August 2009 | National Examination in Occupational Safety & Health, United Kingdom. VOLUNTEER EXPERIENCE AND LEADERSHIP: Worked with civic organization for fourteen years (14) in the field of training, management & organizational development. I can be characterised as a project, program –and quality specialist with a rich experience in the field of process improvement (ISO), Information Security and project/program control. I have an academic Master degree with professional certification (PRINCE2, PMI, IPMA, ISO21500, ISO27001, ISO31000) and track record in Project/Program management, Quality Improvement and Control project mechanisms (System Contract Control mechanism) and Information Security. Knowledge of Scrum; Agile and ITIL. University teacher Project Management and Organization & Management. Publisher Europoort (Industrial Management Magazine) and Computable (ICT). *PECB = Professional Evaluation and Certification Board. Academic study/Project management (diploma 2009). Founder of a management consultancy company (Aswar Akka Consultancy), Industrial Engineer with an MBA having six years of experience in working on management consultancy projects, including the following:Business Process Reengineering. Training on Quality Management Systems ISO 9001:2015, ISO 14001:2015, OHSAS 18001 and ISO 22000 (Certified Quality Lead Auditor, Lloyds, IRCA Registered). I am a Consultant under the company name Intex IT Ltd. As a Consultant I provide services included guidance on the creation of complete document sets and the building of policy frameworks, training staff, gap analysis. Supporting supplier audits, Identification and inclusion of vertical specific security requirements, security review, Internal audits and presenting results of the same at board. Security Consultancy has included Risk Management, ISO27001 and GDPR assessments and readiness. Carrying out internal, external, web application tests, build reviews and firewall config reviews both individually and as part of a team. Manage access identity and users privileges. Please use the front and back navigational arrows above to scroll and select a name tab to display Trainer's Profile.